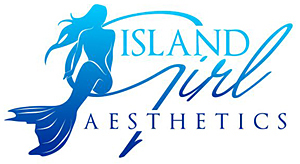 IslandGirl Aesthetics offers Facials, Waxing, Exfoliating Body Treatments, LED Light and Ayervedic Treatments. 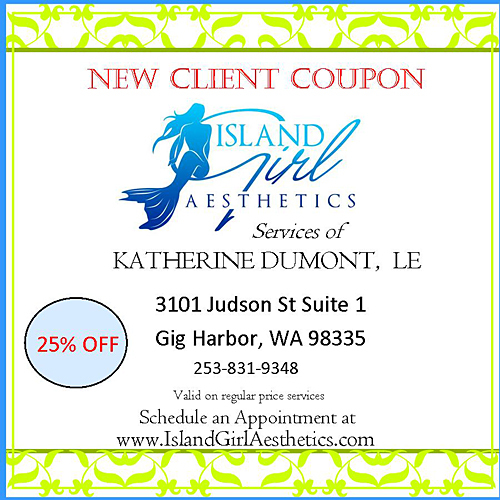 This is a boutique spa in the Historic Waterfront District of Gig Harbor located at 3101 Judson St Suite 101, Gig Harbor WA. 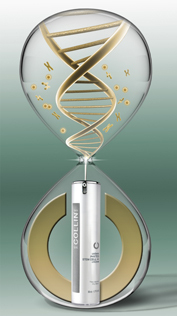 Performing Luxurious Facials, Botanical Facials, Organic Facials, Gentle Waxing, Clinical Treatments with Stem Cells, Enzymes, Marine Collagen, LED light Therapy, Peptides and featuring the SWITCH™ Dermal Rejuvenation System treatment to achieve incredible results! Or you might like a beautiful Eye Brow wax, or some sugaring, a relaxing Ayervedic Shirodhara treatment, a Hot Stone treatment or a Body exfoliation. Your senses will be awakened by the fragrance of essential oils being diffused, the soft gauze draping and the silky textures of beautiful creams, gels and oils your body will be drinking in. 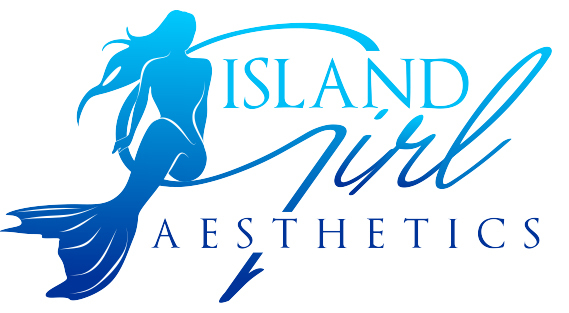 IslandGirl Aesthetics is owned and operated by Katherine Dumont, LE, COE, (Licensed Certified Oncology Esthetician), with more than 25 years in the Aesthetics field and is a LED Light Therapist who embraces an intuitive perspective. She takes a holistic approach focusing on the science of Circadian Rhythms giving you more radiant, healthy younger-looking skin. Katherine pursued education with an evidence based approach reaching from the states into Canada she has created a discerning eye for her practice. She completed her formal aesthetics studies at the Euro Institute of Skin Care, Bellevue WA and continued her education with a UCLA extension Cosmetic Chemistry course along with a number of anti-aging skin fitness classes like hyperpigmentation, glycolic peels, Western and Chinese methods of skin analysis and face reading classes at Bastyr University. Katherine offers innovative skin care solutions with pharmaceutical grade products derived from natural plant and marine extracts giving superior results. Retail products are available for women and men of all age. Her Philosophy: Nurture and protect health of the whole person, including the largest organ, our skin, and natural beauty will follow. Katherine may add these complimentary extras to make your appointment feel like "Island Time": hand treatments, foot massage, dry brushing, leg and arm moisturizing, aromatherapy & scalp massage are some add-ons that can be included. 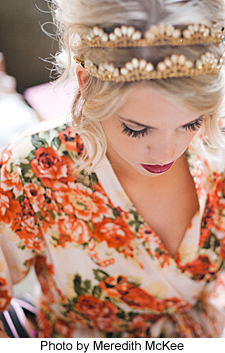 We have online scheduling available at StyleSeat (see below) or you can call 253-831-9348 if you prefer. 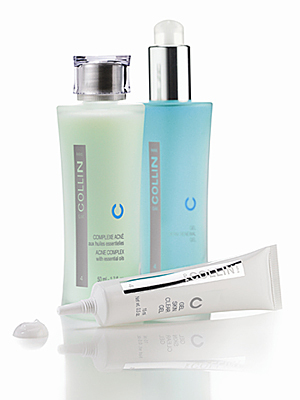 Click above banner to see a list of our anti-ageing products! (Complete .PDF form will open in new window. 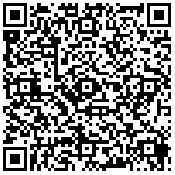 Please click on the linke below to grade our quality of work and customer service. Thanks!